Since you will probably be backpacking across most of Ireland, you will not be staying in a single hostel for long. It is advisable to use the Internet to get the best hostels in whichever city you visit. There are numerous sites that allow you to filter all the hostels in Ireland and arrange them according to price, services offered, proximity to roads etc. In a nutshell, backpacking across Ireland and meeting Irish people will be an unforgettable experience. You will also not face any accommodation problems because of the many options available in all cities. Ireland is a popular destination for budget travelers and backpackers. Because of great attractions, affordable accommodation options and friendly people. This website shows you what to do in Ireland and how to find the best Irish hostels and package deals. What are the things to do in Ireland? Blarney castle - This is a medieval castle near the River Martin. 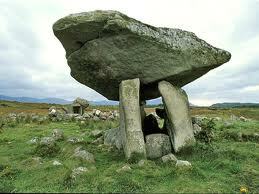 It is a structure with a rich history dating back to 1200AD. 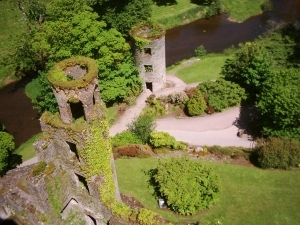 Most people visit the castle to see beautifully preserved structures, the blarney stone, charming scenery etc. Dublin castle - This is another exquisitely preserved castle with a rich feudal history. It has been used for various purposes e.g. defense, facilitating government functions, jail, etc. Other buildings you should make a point of visiting when backpacking across Ireland include: the Christchurch cathedral, Clonmacnoise, the Carrowmore megalithic cemetery, Hill of Tara etc. If you are interested in local Irish culture, you should attend some of the numerous festivals that are hosted in various towns throughout the year. Some of these well-known festivals include: the St. Patrick's festival, the Cat Laughs festival, the festival of world cultures, the Belfast Festival at Queens, the Cork Jazz Festival among others. In these local festivals, you will be able to see a side of Ireland that travel magazines cannot capture. The M Club - you will love the cosmopolitan crowd and the wide variety of music and drinks in this club. The Rain nightclub - It is one of Belfast's best clubs with very nice dance floors. They also have a different theme every night. Other popular clubs include: The Globe, Bar Seven, Roxy Nightclub, Coach Nightclub and the Like. One of the main concerns for backpackers is accommodation. Fortunately, Ireland has a very large variety of hostels, motels and hotels to suite any budget. Backpackers generally travel on a budget. You will also want a hostel that is close enough to the major towns and tourist attractions. Knockawn Wood - This hostel in Blarney has spacious rooms and good Irish food, Wi-Fi, ample parking and high security. The rates are very good given the services provided. La Cita - Another cheap but high quality hostel in Blarney. Here you will get a good breakfast, a comfortable bed, internet access and other conveniences. Cherrybrook Country Home - This hostel in Avoca will offer the usual amenities you need when on a backpacking trip. These include spacious rooms, a good breakfast, landscaped gardens to help you relax etc. And don't forget that you can also visit Northern Ireland (part of the UK) and their capital Belfast. It is such a great pleasure to visit Ireland and the UK in general. The islands have so much history and scenery to reveal to the curious traveler. One of our friends from UK SEO did just that, visit the entire United Kingdom over the Summer and he had a great time, staying at over 25 youth hostels. So if you just want to travel over Ireland or over the entire British Isles, it is clear that you will have the time of your life.